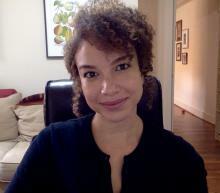 Dixa Ramirez is Assistant Professor of American Studies and Ethnicity, Race, and Migration at Yale University. Her first book, Colonial Phantoms: Belonging and Refusal in the Dominican Americas, from the 19th Century to the Present is forthcoming from NYU Press. Her work has been published in Atlantic Studies, The Black Scholar, Comparative Literature, Small Axe, Avidly, and in the Dominican media. She is currently working on her second book, Blackness in The Hills: Geographic Isolation and White Supremacy in Dominican and U.S. Nationalist Imaginaries. There are varied responses to this dilemma, as the other responses in this roundtable demonstrate. It can include, for instance, a return to the work of ignored black Latina scholars who illuminate the exclusion of blackness in nationalist contexts (Rivera-Rideau); a reconsideration of how Afro-Latinx feminism can illuminate corners darkened even within Latinx feminist work (Zamora); and the pan-Africanist efforts of a white-presenting Latina activist such as Ana Livia Cordero (Plácido). In my forthcoming book, Colonial Phantoms: Belonging and Refusal in the Dominican Americas, from the 19thcentury to the Present, I chew over the question of how the very erasure of certain forms of blackness, specifically Dominican blackness, structures the Americas. That is, this erasure itself forms part of the scaffolding of this hemisphere. To inquire what it means to be American, Latin American, Latinx, Puerto Rican—and concomitantly, what it means to be a citizen versus stateless, a refugee versus an undocumented immigrant, a “protected” female body versus a female body that can be violated with impunity (and for profit)—and so on, is to already get at questions beyond representation. When we point out that the world as we know it was shaped by black Latinx subjects as settlers (in all their problematic glory), merchants, writers, artists, and in every possible subject and labor category, we are also rejecting Western ideals of who is fully human. Considering the violent costs of dehumanization, how can we not desire to do so?